7-pole junction box Trailer Cord set, Molded 7-Way Connector. 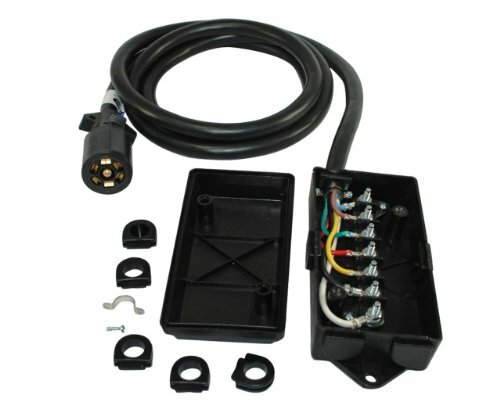 Cable: 4Ft 10AWG*2C 12AWG*1C 14AWG*4C The 7-Pole Junction Box provides a fast, simplified way of connecting wires from the trailer cord to the trailer wiring. It is an excellent area for trouble shooting by offering a single connection point. The junction box is made of heavy plastic and includes hardware, 4 closed and 4 open rubber fitted grommets making it weather proof and corrosion resistant.